The number of new home registrations by house builders in London has fallen by 10% when compared to last year, new analysis from the National House Building Concil (NHBC) has found. The NHBC’s annual housebuilding figures found that the number of registrations in London in 2018 had hit 16,069, down 10% on last year’s 17,932. Political and economic uncertainty was blamed for the drop-off by the warranty provider responsible for the warranties of 80% of all new build homes. The NHBC found that housing registrations in the East and West Midlands were also down by 10%, dropping from 29,610 in 2017 to 26,534 in 2018. The whole of the UK saw a more modest drop in housing registrations, with 159,617 homes registered in 2018, down 0.5% when compared with the 160,396 registrations in 2017. A total of eight out of the 12 months saw year-on-year growth, with seven straight months of growth in the second part of the year following a slow start caused by freezing conditions. The number of registrations was boosted by a major increase in Yorkshire & Humberside, which saw a 20% uplift in the number of homes registered, and the North West, which saw home registrations increase by 7%. Across the country, the UK saw six of its 12 regions experience growth in the number of registrations, while 11 out of 12 regions saw growth in new home completions. The number of registrations for homes in the affordable sector flatlined with 42,120 homes being registered, which marked a slight increase on last year’s figure of 42,024. Registrations in the private sector were down 1% from the 118,372 recorded in 2017, to 117,497 in 2018. 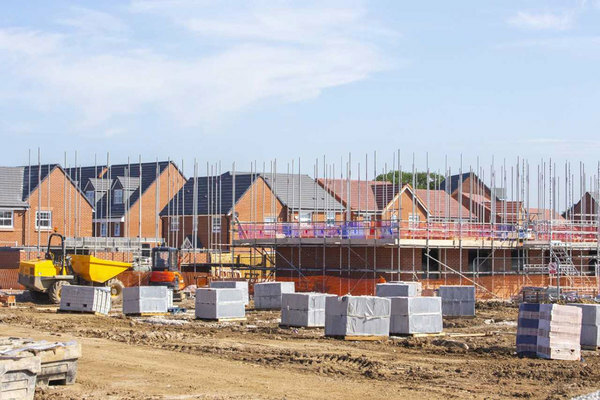 Steve Wood, chief executive of the NHBC, said: “The full-year figures of nearly 160,000 new home registrations demonstrate the resilience of the UK housebuilding industry. the continuing political and economic uncertainties, which are extending into 2019.